Scheduling a treatment requires that staff time be reserved along with the technology that will be used to perform the treatment and a treatment room to perform it in. 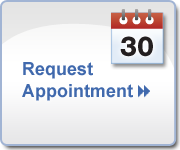 We strive to accommodate all appointments with little advance scheduling notice, but at times there is a wait due to lack of availability in our calendar. In the event you cannot make an appointment for any reason advance notice will often allow us to offer the spot to another person. Cancellations with less than 48 hours notice will be subject to a fee of $50 per hour for every hour of treatment time that your procedure was scheduled to require. This fee will be charged to a client’s clinic account to be collected at the time of the next visit. Failure to show up for an appointment without notice will be deemed a late cancellation. If for any reason you cannot make your appointment please be sure to let us know with adequate notice. It is never our wish to charge anyone a fee of any kind for an appointment they could not make it to. Cancellations must be done by telephone. Emailed appointment cancellations will not be acknowledged. Please call 403-719.6523. We schedule adequate time to ensure that every treatment is can be delivered thoroughly and safely. If you arrive late for your treatment you will be accommodated to the best of our ability within the remaining time available. Our ability to rearrange things to accommodate a late arrival will increase with advance notice so please call ahead if you are running late and let us know to expect you shortly. Extreme lateness may necessitate rescheduling of the appointment. In this case, the late cancellation fee will be waived, but we will not inconvenience the next patient and put them behind to accommodate a late arrival. Please call 403-719.6523 if you are running behind. Gift Certificates are fully refundable within 14 days from the date of the gift-giving occasion. In the event, you purchase a treatment or series of treatments and change your mind within 72 hours a refund is also possible. In either case, some nominal charges will be passed on to cover the clinic’s costs. $25 Administration fee: Reversing a purchase requires handling by several departments. This minimal fee covers the wages of various staff required to do any administrative adjustments. 3% Merchant Cost: When a credit card is used as a method of payment your credit card company charges a percentage to the vendor known as merchant costs. When a card is refunded the merchant costs are not returned. This fee will be deducted from the refund given to you. In the event that a medical problem or prolonged circumstances prevent completion of pre-paid treatments according to plan, the client may take an extended period of time, not to exceed three years, to complete said treatments. Alternatively, a different treatment of comparable dollar value may be substituted. The balance remaining after the value of the treatments that have been used can be applied to your account and be used towards the purchase of any other treatment, services or products. At the discretion of the clinic treatments (or the value of the treatments) may also be transferred to another person subject to price adjustment and administrative fees. During your consultation we strive to help you set realistic expectations. We endeavor to educate you thoroughly so you will be fully informed on what each treatment is capable of achieving, and what is not possible. Based on the information you provide us with, we will advise you if there is any reason to not expect that an ideal outcome is possible for you. We guarantee that your treatment will be delivered with technology that we consider tier-one within the industry and best-in-class within each modality. We guarantee that we will deliver the most thorough and efficacious treatment we deem possible within safe parameters. We guarantee that we will treat you with courtesy, kindness and respect and do our utmost to keep you comfortable during your treatment. Unfortunately, it is not possible for us to guarantee that you will be 100% satisfied with the results of your treatment. No clinic could ever offer such a guarantee with integrity. If you are not satisfied a refund is not possible, but repeat treatments at discounted prices may be an option based on our pricing policy. At the time of your post-treatment follow-up appoint-ment, additional treatment options to get you closer to your goal can also be discussed. 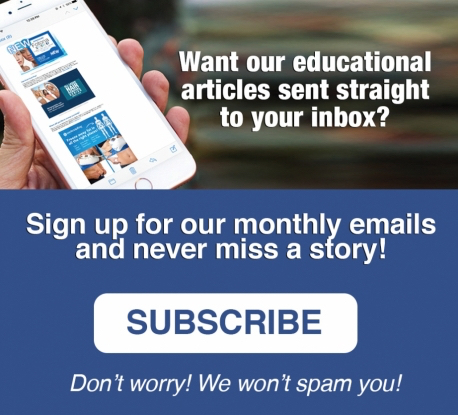 We sincerely want you to be thrilled with your results. Many of our clients are and we hope you will be one of them!